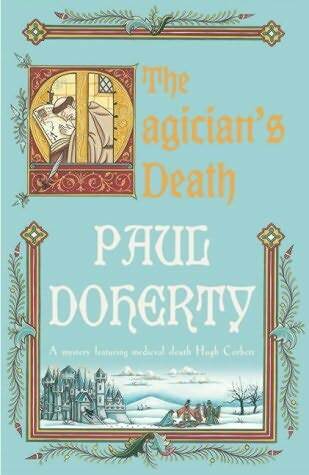 This is the fourteenth book in the medieval mystery series featuring Sir Hugh Corbett. As in every book in the series, Doherty weaves fact into his story, making it a convincing historical fiction. This time Corbett and his retinue are called to Corfe Castle in England to discuss Roger Bacon's Book of Secrets. I enjoyed the premise of this story immensely, and found reference to the works of the controversial scholar quite intriguing. Roger Bacon imagined inventions such as the aeroplane and submarine and this book by Doherty has inspired me to investigate this further at some point in the future. However, it's not long before murder reaches Corfe Castle and Corbett is almost assassinated by the killer. His investigative skills are put to the test again as young women from the Castle are found slain and two French scholars who are also gathered in an attempt to decipher the code in The Book of Secrets, seem to have had suffered fatal accidents. I'm still enjoying these historical fiction mysteries set in 1300s England however this has been the longest series I've ever read from start to finish. I'll enjoy 'catching up' to the most current one so to speak and really enjoyed this one.